A regional workshop on Integrated Drought Management takes place in Bratislava at Slovak Hydrometeorological Institute on 5-6 October. It is a join initiative of Global Water Partnership Central and Eastern Europe (GWP CEE), GWP Technical Committee and World Meteorological Organization (WMO). Slovak Hydrometeorological Institute will host the venue. The main objective of the workshop is to formulate and commit to the Integrated Drought Management Programme (IDMP) initiative. “It builds upon technical expertise and intellectual capacities of the GWP Technical Committee, GWP CEE and WMO in addressing drought management from an integrated point of view”, says Martina Zupan, Chair of GWP Central and Eastern Europe. The workshop brings together 53 key stakeholders from different sectors such as meteorology, water management and agriculture from Central and Eastern Europe and international organizations including International Commission for the Protection of the Danube River, UN Economic Commission for Europe, Stockholm International Water Institute, United Nations Convention to Combat Desertification and Drought Management Centre for Southeastern Europe. The participants will identify institutional framework, 2013-2015 roadmap and possible sources of funding for regional Integrated Drought Management Programme. Experts from other regions severely affected by drought such as Mediterranean, Central Asia and South East Asia will share their approach to drought mitigation. Recently, GWP CEE has developed a mapping study (Inception Report) to provide a review of existing policies and strategies in Central and Eastern Europe. The work also focused on identification of appropriate experts from “out-of-water” sector to contribute to the work of Regional Water Partnership. The Inception Report is based on information obtained directly from experts at GWP CEE Country Water Partnerships and therefore it reflects realities in specific countries rather than in the entire region. GWP CEE has proposed the following four national and regional initiatives for Integrated Drought Management Programme comprising preparedness measures including investment and non-investment measures, e.g. drought insurance systems. 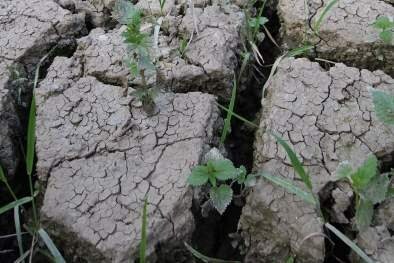 Also, experts have proposed enhancement and further development of drought monitoring and early warning systems. In the future, capacity building programs for water managers and farmers need to be developed and implemented. One of possible initiatives was sharing of experiences through case studies, showcasing good practices in application of integrated drought management as an integral part of water and land management on the national and international level including trans-boundary basins. The workshop participants will build on these proposals to finalize and approve GWP CEE component of the GWP/WMO Integrated Drought Management Programme. The Global Water Partnership (GWP) vision is for a water secure world. Its mission is to support the sustainable development and management of water resources at all levels. GWP was created to foster the implementation of integrated water resources management (IWRM): the coordinated development and management of water, land, and related resources by maximising economic and social welfare without compromising the sustainability of ecosystems and the environment. GWP CEE’s international network comprises 12 Country Water Partnerships in Bulgaria, Czech Republic, Estonia, Hungary, Latvia, Lithuania, Moldova, Poland, Romania, Slovakia, Slovenia and Ukraine and 147 Partners located in 15 countries. This approach moves drought management practices from reactive, representing the crisis management to more proactive drought management based on risk management principles. It provides coordination for efforts towards integration of science, policy and implementation by strengthening drought monitoring, drought risk assessment, development of drought prediction; drought early warning services and sharing best practices at the local, national and regional levels. It advocates and facilitates integration of responses by various agencies from various sectors such as water, land, agriculture, ecosystems, and energy on one hand and drought affected sectors on the other.